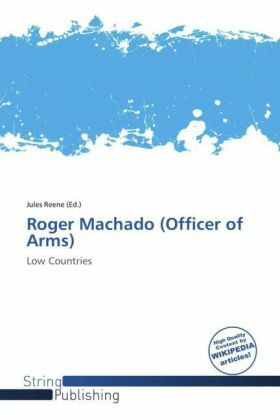 Roger Machado (died 6 May 1510) was an English diplomat and officer of arms of Portuguese extraction. He lived among the Portuguese merchants at Bruges in 1455.The first reference to Machado's heraldic activities is as Leicester Herald on missions to the Low Countries in 1478 and 1480. As Leicester he also participated in Edward IV's funeral in April of 1483. Although an inventory of his household goods in 1484 shows that he was living a comfortable married life, his failure to pay debts forced him to flee the country. Thus in 1484 the year of the incorporation of the College of Arms Machado was importing wine from Spain.From January 1485 Machado took part in various missions abroad in the service of the Marquess of Dorset. These were most likely missions to help the exiled Henry Tudor. Just before the Battle of Bosworth Field, Henry made him his own personal officer of arms as Richmond Herald.